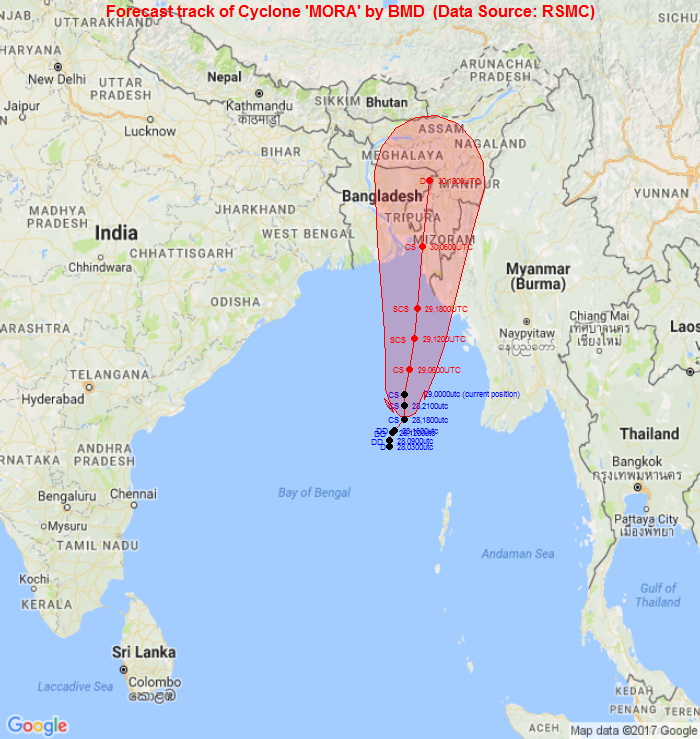 Seven Community Radio Stations operated in coastal region of Bangladesh are now continuously broadcasting to address the Cyclone Strom MORA. Already the stations broadcast 25 hours program to address the upcoming cyclone Strom MORA in line with Standing Orders on Disaster (SOD) of Government of the People’s Republic of Bangladesh. Information is being provided to the community regarding preparedness for saving their lives, and assets by 30 Community Broadcasters and volunteers around the radio station. The stations are maintaining full time liaison with the disaster monitoring cells at district and upazila levels. They are also keeping contact with Red Crescent members, Scouts and disaster volunteers at local levels. Besides, the members of Radio Listener Clubs are doing awareness raising campaign regarding preparedness within their community, neighbors and relatives. ​(​Sitakunda, Chittagong), Community Radio Sagor Dwip 99.2 ( Hatia, Noakhali ), Community Radio Meghna 99.00 (Charfasion, Bhola Island), Community Rural Radio: Krishi Radio 98.2(Amtali, Barguna), Community Radio Lokobetar 99.2 (Barguna Sadar), and Community Radio Nalta 99.2 (Kaliganj, Satkhira) are now in operation on a 24 hours basis. They are broadcasting special bulletin, PSA, docudrama, magazine program repeatedly and draw attention of all to prepare for facing cyclone Strom MORA’, so that community will be able to take initiative in advance and thus the damage can be reduced. These stations have their preparation to keep their stations on-air for 24 hours. Generator and fuels are reserved for alternative power supply, if there in any disruption in notational power supply grid and hamper the broadcasting.